A note of warning for this blog: it’s very much “internal” news and focused on our own developments. We’re not going after some huge readership here with any particular views or commentary. If you’re not involved with Splashpress, in fact…even if you are-:), you’re likely to find all the posts in this blog pretty dull. As those of you who do follow our network’s news, you may have seen the recent announcement at the Blog Herald with the news that Paul “Scrivs” Scrivens will be taking over as Publisher as of the end of this month. This is obviously a superb development for Splashpress Media and 2010 looks like it will be a very exciting year for the network. Andy Merrett has been promoted as Editor in Chief, while Franky Branckaute returns as Managing Editor. You can view the roster of the main team here. * The biggest news for our network recently was the acquisition of 9rules. We have previously announced the Round 9 winners and Andy Merrett is doing a great job over their with his weekly series “Around 9rules“. A new round of memberships is planned for the New Year. This was a very proud and momentous step for us to take and we are committed to doing justice to the legacy of 9rules. * Performancing has undergone a major overhaul and redesign thanks to Randa Clay, including a migration from Drupal to WordPress (achieved via David Peralty‘s tenacity)- no easy task! I’m happy to report that we are now back in shape and gaining momentum again with writers at the main blog like Franky Branckaute, Andy Merrett, Jayvee Fernandez, Justin Wright, J. Angelo Racoma, Dee Barizo and Rico Mossesgeld. 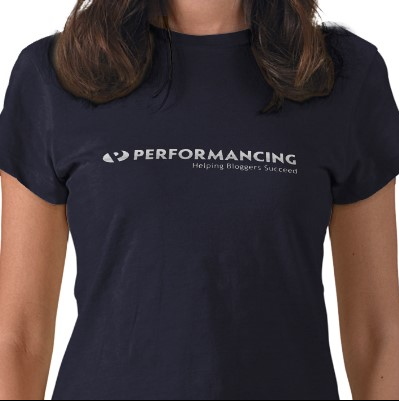 @ Performancing Marketplace. Here users can buy and sell domains, blogs, blogging-related tools, themes, blog services, software and the like. The feedback we have been getting from those who were previously happy trading at Sitepoint is that there is a real need for this in the blogging community, and one that Flippa has failed to satisfy. The opening of this blogging marketplace was announced just 10 days ago, so it’s still very much in beta mode! @ Performancing Jobs– as previously announced, Performancing Jobs has now relaunched and as was the case in the days at the old forum, it’s beginning to take up pace. We have now extended free listings for 30 days. @ Performancing Themes is still very much alive, although we have moved the permalink from its previous location to a new one– but we’ll keep both open for now so that users don’t lose any of the support information. We now have 21 free WordPress themes released, all by top WP designers such as Brian Gardner, Design Disease, Forty Media, Ia Lucero, Randa Clay, the449 and Thord Hedengren. All have given their permission for the themes to be licensed under the GPL. And this week, we are releasing another classic: the Herald Theme– the previous Blog Herald theme, designed by Brian Gardner. The announcement at Performancing was made today; you can get a live preview of it here and download it here. @ Performancing Hive is set for a relaunch after some time in hibernation. Luckily, there are still many active users there (including some notable a-listers). Do grab the opportunity to sign up for free using 093588648A as the coupon code- it will expire on December 11th. 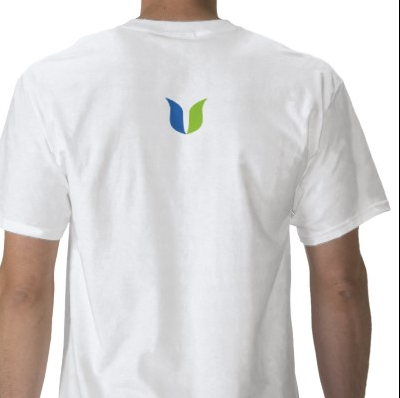 There are lots of great plans in the works including quite a few useful blog-related freebies for members! @ Performancing Legal is set to relaunch imminently. Jonathan Bailey is ready to take up the mantle again and answer users’ copyright-related questions, so do submit your question here already. Thankfully, we have managed to retrieve all the previous Q&A from the legal section at the old Drupal forum and will be putting these up for future reference. @ Performancing Ads is still going strong under the capable management of David Jones and Damian Manifold. Expect some exciting news soon as we have found a major partner who will be committing to excellent CPM rates for the regions on publishers’ blogs that are not booked by direct advertisers. And the affiliate program is working like clockwork, so if aren’t signed up already- it’s not too late. @ Performancing Plugins still features and supports the pMetrics WordPress plugin. We’ve opened up a dedicated section for this at the site and will not only be developing more invaluable plugins for WordPress users, but also featuring other useful plugins along with tutorials. @ Performancing Podcasts has been another victim of the recent migration the site has undergone. But we now have a home for all the podcasts that Performancing has produced in the past- by the likes of Darren Rowse, Ryan Caldwell, Chris Garrett, David Peralty and Jeff Chandler. Again, expect some news on this very soon as we relaunch the series. @ Performancing Metrics continues to go great guns and we have more users signing up every month, wanting a piece of its awesome analytical powers. Managed by J. Angelo Racoma, the system is well looked after and constantly being improved by Sean Hammons. If you haven’t tried it yet, you can sign up for free as well as earn money from the affiliate program. @ Performancing Services has been flourishing under the leadership of Dee Barizo. Just recently, we managed to get a prestigious client to the top of Google for some seriously competitive keywords in the travel industry. Such is the power of blogosphere! Especially popular services that we have recently added are the “Copyright Management Service” and the “WordPress Security Audit Service“. So do get in touch with Dee to see if we can help your site get more traffic and authority. @ For all related inquiries for Performancing products and services, please do visit our support page. * We were very proud to add Apple Gazette to our technology channel of blogs recently. Michael Murphey had done such an outstanding job at the site for nearly three years, especially with his highly respected podcasts, AGTV series and yearly coverage of Macworld. When we saw that the blog had not been updated since June earlier this year, we felt obligated to take up the challenge and so made Jacob Gower an offer which he graciously accepted. With former b5Media technology editor, Lia Espina covering the top stories; the mercurial RJ Huneke setting a new standard with the impulsive reviews and with Mac freak, Kevin Whipps handling the featured commentaries– we feel that we have a great team in place to do keep up the fine tradition of this leading Apple blog. And don’t worry, we will be relaunching the podcast and video series soon! * Another strategic acquisition recently was Daily Bits, bought from Daniel Scocco of Daily Blog Tips fame. We felt that this blog fitted in perfectly with our new media channel, with such sites as 901am, Blogging Pro and Tubetorial. Another huge bonus with adding this site to our network was gaining the services of the excellent Arnold Zafra, well known for his work at Search Engine Journal. 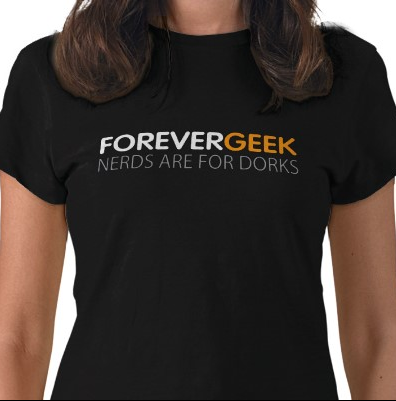 Apart from Daily Bits, Arnold now also blogs for us at Blog Herald, Forever Geek and XFEP. “Google, Facebook, Wikipedia, Youtube. The Internet is changing the way we communicate, work, and live. And that is not referred to big players alone. Think about blogs that are already competing head to head with mainstream media; or people that are generating thousands of dollars with personal websites. You can reach literally the whole world without leaving your bedroom. * After quite some time (as all quality projects demand! ), we have released our first premium WordPress theme: Rogue Theme. Undoubtedly behind the curve in terms of an over-saturated market, we feel that this one was worth the wait- especially if you are looking for a magazine-type or news-related WP theme, with full support. Developed by Thord Hedengren, what makes this premium theme different from others you will see around is the neat plugin that comes with it: Roguelines. There are multiple Roguelines areas– you can have several headlines for various parts of your site; you can add Rogueline data to any post within admin using the Roguelines box on the “write and edit” post page. And you have full control of the HTML code that is outputted before and after each Rogueline area, as well as before and after each element within. There are also two default widget areas in the Rogue Theme: the headline area under the header on the blog’s front page. And the right hand sidebar (automatically filled with some default stuff). Either one of them can be populated by whatever widget you want to use. This means that you could, for instance, use the Roguelines plugin to fill the headline area on the top of the front page, as well as have it in the sidebar. You could use the built-in widgets that comes with WordPress, or install plugins on your own to create whatever type of setup you like. As we are still looking to officially launch Rogue Theme soon, we are looking to build some featured samples using the theme- at the site. So if you’d like a free version and to save on the license fees, please contact Ali Hussain (who will be supporting the theme) and he will send it to you. 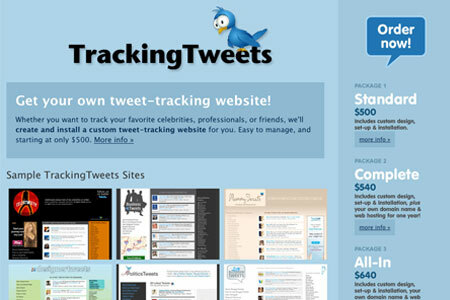 * Tracking Tweets is a new service site that we have added to our network of services. Here we offer tweets sites custom-built with our own script, much as ones that we own ourselves, including: BloggerTweets, BusinessTweets, CelebTweets, DesignerTweets, MommyTweets and PoliticsTweets. There are various packages offered, which you can view here. Twitter Button was recently relaunched, with a bunch of new designs for the buttons including- Spanish Twitter Buttons, Italian Twitter Buttons, Follow Me Buttons buttons and Follow Us Buttons buttons. And perhaps most significant was the incorporation of the personalized script we developed, allowing users to track their follower count within the buttons. * We have relaunched various blogs, all designed by Lorraine Nepomuceno, whose excellent tips you have hopefully been following at Devlounge! The recent redesigns done for our sites, include: Best Blog List, Buddy-Press, CSS Basics, Ceylon Luxury, Fashion Hookup, Geeks Blog, My Asus Eee, Newspaper Blog, Parenting Blog, Red Tropic, Splog Spot Blog, Social Platform Journal and Yurto. Thank you, Lorraine, for all your great work! And also huge thanks to the other WordPress designers that Splashpress has worked with over the last three years for so many of its projects- Brian Gardner, Design Disease, Ia Lucero, Randa Clay and Thord Hedengren. * Many new editors, site managers and bloggers have joined Splashpress Media in recent times. Firstly, a special welcome once more to our new Publisher: Paul Scrivens, our new Editor in Chief: Andy Merrett and a “welcome back” to Franky Branckaute, our Managing Editor. Also, a long overdue welcome to our Technical Support guru: Ali Hussain and our Accounting magician: Nelly Chica. I’d also like to extend my personal thanks to all our partners– we couldn’t have gotten this far without your help! @ An iPhone app for our blogs, which will load the RSS feeds from our top blogs. There will be navigational buttons on the stories, so that the user can jump to the next/previous one and also go back to the listing. On the app home screen, there will be a reload button to fetch the latest items from the RSS feed and an info box that can be reached from the app home screen. What will make this app especially innovative is the category browsing through the bottom menu, where it will be possible to read and post comments, along with the integration with other apps and social media sites (Twitter, Facebook, etc). @ Another site soon to be launched is: BeBlogger.com – an in-depth resource for newbie bloggers, to be designed by Design Disease. @ At long last, after a protracted absence since the days of Matt Craven, the Blog Herald is about to relaunch its podcast series. And to boot, we’ve had a slick jingle done for it by Stefan Hedengren, better known as Stiff. So enjoy! @ We’re about to release a seriously funky RSS widget application called SourceBeat. It is a flash-based tool that allows users to add vertically scrolling news, events, announcements, press releases and other content from any RSS feed to the sidebars of their blogs. @ We’re also working on some large scale projects (including a uniquely built search engine!) with the likes of Chris Garrett, Dee Barizo, Richard McLaughlin, Thord Hedengren and Will Vacher. Last, but not least- a special thank you to you, dear readers, who have put up with these long-winded, inward looking posts for all this time! Anybody who is still reading this post deserves at least some fine scotch…so drop us a line and we’ll see what we can do for you! 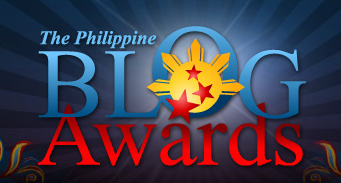 My Asus Eee, our blog dedicated (obviously) to the Asus Eee, made it to the finals of the Philippine Blog Awards. This yearly event, which we have been a co-sponsor of and is partly organized by our editor, Jayvee Fernandez, is held in three locations- Luzon, the Visayas and Mindanao– making it a truly “national” event. We were very gratified to have a blog nominated in these local awards, given that we are an international company, but having such a strong affiliation with the Philippines through the many team members, site managers and bloggers that contribute so enormously to the success of our network. So a HUGE THANK YOU to all of you who donated!! We will be posting a list of all who gave at our original post. With the PNRC, we can be 100% sure that the funds have gone directly to those who are in need- with the basic human needs being prioritized: medical, clean water, food, shelter and the setting up of evacuation centers. So if you can donate or raise more funds for those who desperately need it, please do visit the Philippine National Red Cross donation page. Or you can send directly via paypal to: [email protected]. Once again, thank you dear readers for your support during this terrible calamity.